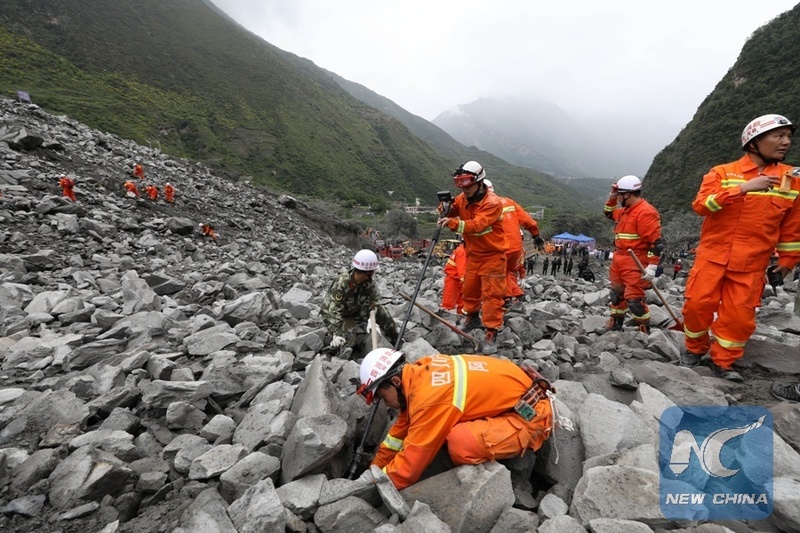 UNITED NATIONS, June 24 (Xinhua) -- UN Secretary-General Antonio Guterres said Saturday that he is saddened to learn of the loss of life and devastation caused by landslides in China's Sichuan province, where more than 120 people were buried. Rescuers have retrieved 15 bodies from the debris by 10 p.m. Saturday local time, the rescue headquarters in the south-western province said. "The Secretary-General salutes the efforts of the national relief and recovery teams. The United Nations stands ready to support the authorities in any way it can if needed," said a UN statement. The search and rescue operation is going on overnight, with thousands of rescuers combing the area with life detectors and sniffer dogs. New signs of life has yet to be found. "The Secretary-General extends his condolences to the people and Government of the People's Republic of China and wishes those injured a speedy recovery," the statement added. The landslide from a high part of a mountain in Aba prefecture hit Xinmo Village in Maoxian County early Saturday morning, blocking a 2-km section of river and burying 1,600 meters of road. The provincial government has launched the highest level of disaster relief response.